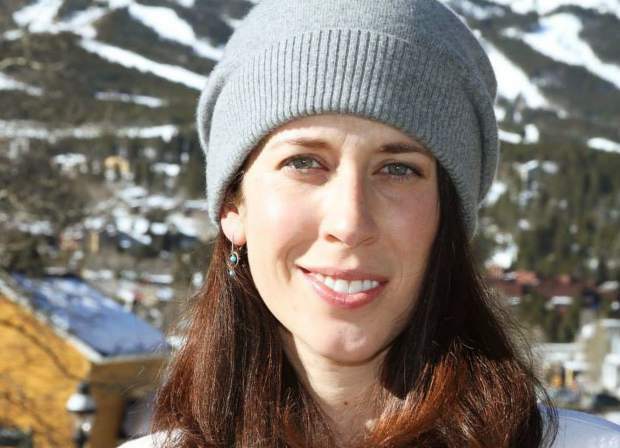 Breckenridge councilwoman Erin Gigliello has announced she will resign from her position as the executive director for Breckenridge Backstage Theatre. The announcement follows the theater board’s decision to issue an apology for a satirical sketch that poked fun at U.S. President Donald Trump. A short sketch lampooning President Donald Trump at Breckenridge Backstage Theatre’s biggest fundraiser of the year last Friday was apparently so offensive the theater board felt it necessary on Monday to apologize. That apology, which came with a promise to never do anything like the Trump sketch again, was followed by executive director Erin Gigliello submitting her letter of resignation the next day. Efforts to reach board chair Nina Jannetti for comment on Thursday were met without a response. The apologetic letter with her name at the bottom went out on Monday to individuals who purchased tickets to the fundraiser. Jannetti’s letter begins as most might expect, thanking patrons for helping make the Backstage Bash the “most successful fundraising event” in the history of the community theater, before rattling off a list of the many programs that money would support. Then the tone changes. On Thursday, Gigliello confirmed her pending resignation and said she plans to remain with Backstage Theatre for the next 30-45 days to help during any transition. She declined to give the newspaper a copy of her resignation letter. If Gigliello leaves her post when she intends to do so, her tenure with Backstage Theatre will be short-lived since she assumed the executive director’s duties at the beginning of the year. At the time, Jannetti expressed great optimism about what Gigliello’s hiring could mean for the theater. Breckenridge Backstage Theatre is a local nonprofit that works with only a handful of paid employees and numerous volunteers on a shoestring budget. Despite the limitations, Backstage Theatre brings a wide variety of theatrical performances year round — from children’s programming to adult-oriented plays — to Breckenridge, the greater Summit County community and Colorado’s High Country in general. Last Friday, as Backstage Theatre has done many times before, the group put on its annual Backstage Bash, an adult-orientated event that’s meant to be fun while also raising money the theater desperately needs to operate. This year tickets to the event were $125 each, and the Bash was framed around the theme “Vegas Meets Camelot,” a nod to one of the theater’s productions that was “lovingly ripped off” from the colorful humor of “Monty Python and the Holy Grail” and that ends its run in Breckenridge on Saturday. Throughout the night, the Bash included a number of presentations, along with food, drinks, and live and silent auctions, but one of the performances during the fundraiser apparently didn’t go over so well with everyone in the audience. “A small percentage of those in attendance were unfortunately bothered by the content of the sketch, which is regrettable, but lest we forget, the nature of satire is not to appease and placate but to push the boundaries of thinking,” Willard wrote in a prepared statement. Per its theme, the Bash was set in Camelot, Nevada, featuring a representative of the city’s commercial world through a casino and hotel tycoon considering a run for the kingdom, according to Willard. In the statement, Willard explained that some level of political satire has always been a part of the theater’s galas, either via banter from the masters of ceremonies, in the occasional comic monologue or through a sketch. He said the theater’s satire has typically been aimed at local and statewide matters, such as Colorado Department of Transportation construction or local parking problems, and earlier this year, he participated in another short sketch that served as a season preview, but also poked fun at Breckenridge Town Council, of which Gigliello is a member. Neither Gigliello nor Willard would give the newspaper a copy of the sketch script, and Gigliello said she is not aware of any recordings of the performance. Overall, Gigliello was reluctant to talk about the Trump sketch or her pending resignation in any kind of detail, saying only that she hopes they won’t distract from what she thinks was “a night to be celebrated,” a clear reference to the record-breaking fundraising total in which the theater eclipsed $100,000 in donations. Reaching that amount, Gigliello added, triggered a generous $25,000 match on top of the more than $100,000 total.